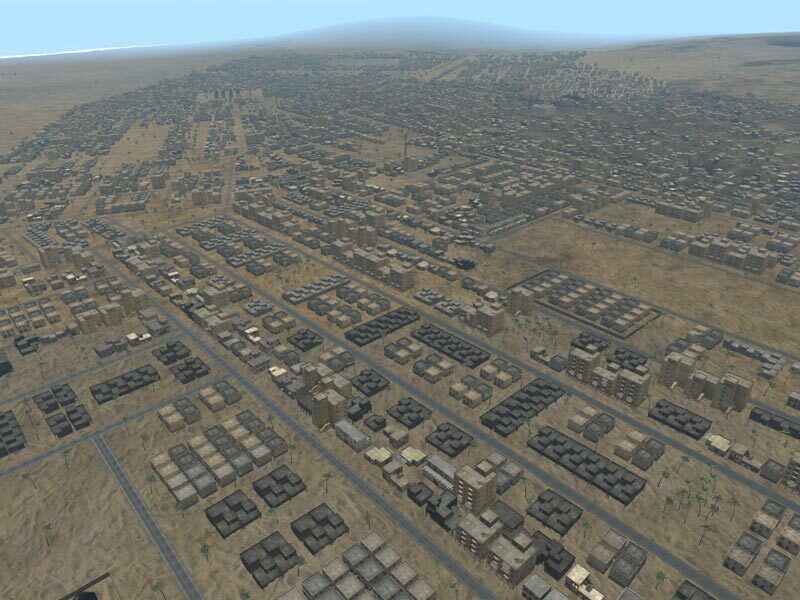 This is 51km x 51km desert terrain for ArmA (no, doesn't work with ArmA 2), includes three airbases, 46 cities with mostly war torn ruined buildings, 53 villages, 3 airbases, dirt road network, two lane highway, 5 harbors and 6 oilfields. 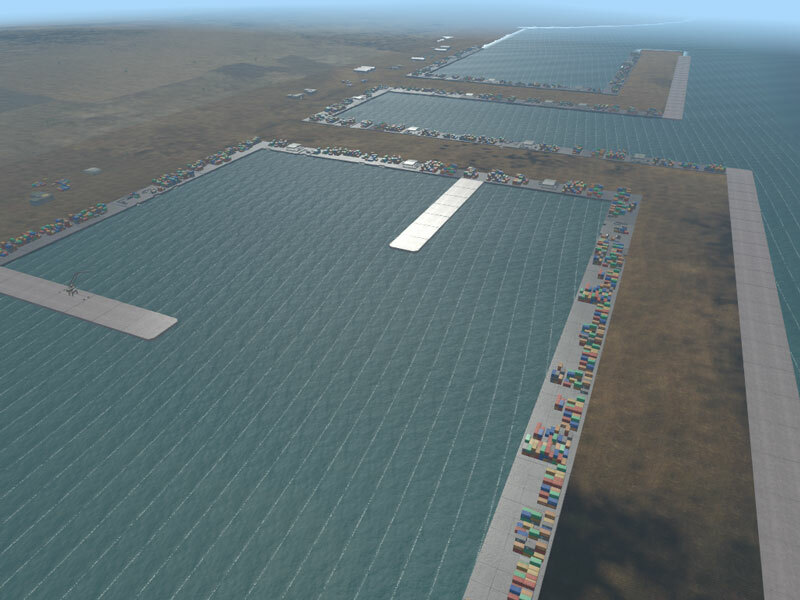 In the current build there is 289,121 objects (125,400 houses, 88,300 pieces of roads, 16,400 rocks, 19,000 bushes and 36,200 trees, etc). 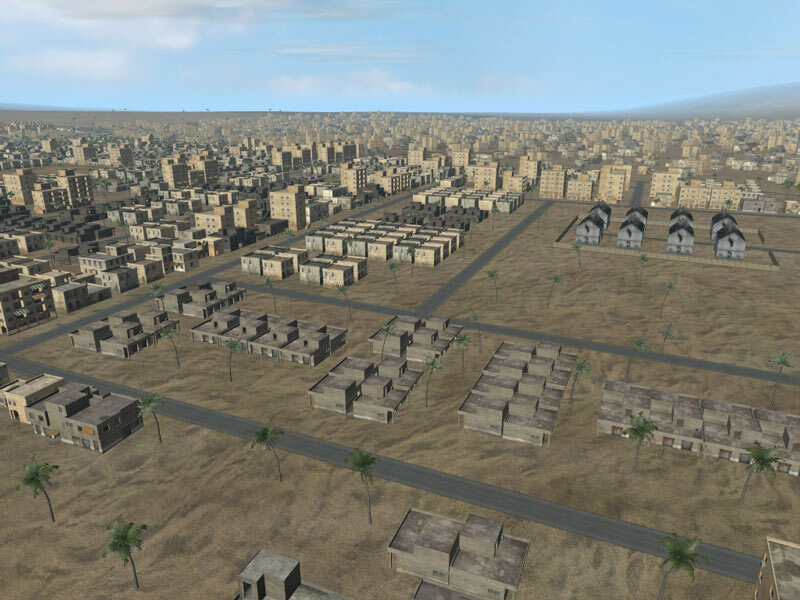 So clearly it is not an “empty desert map” at all. - house on a road (unknown city). - bush/tree on a road (unknown city). - city 19, bush on the road. 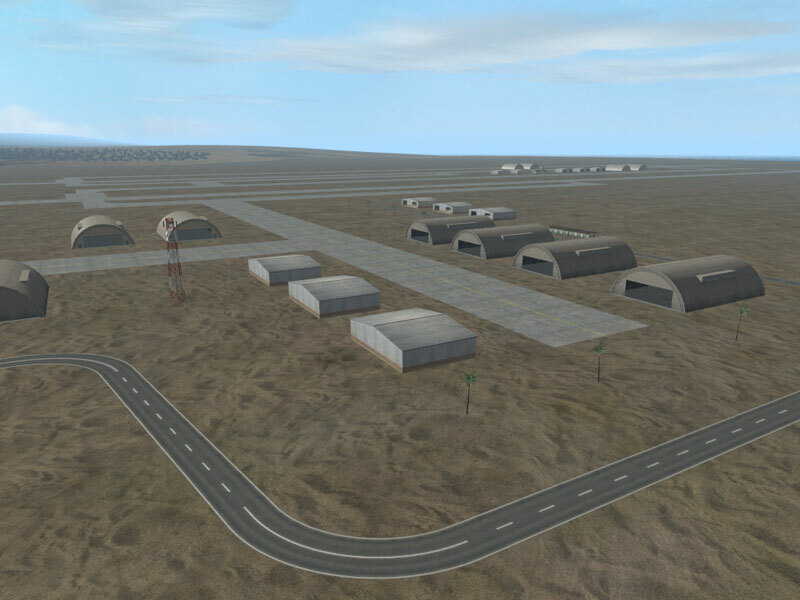 - finished building placement for city 39m (decor still missing). 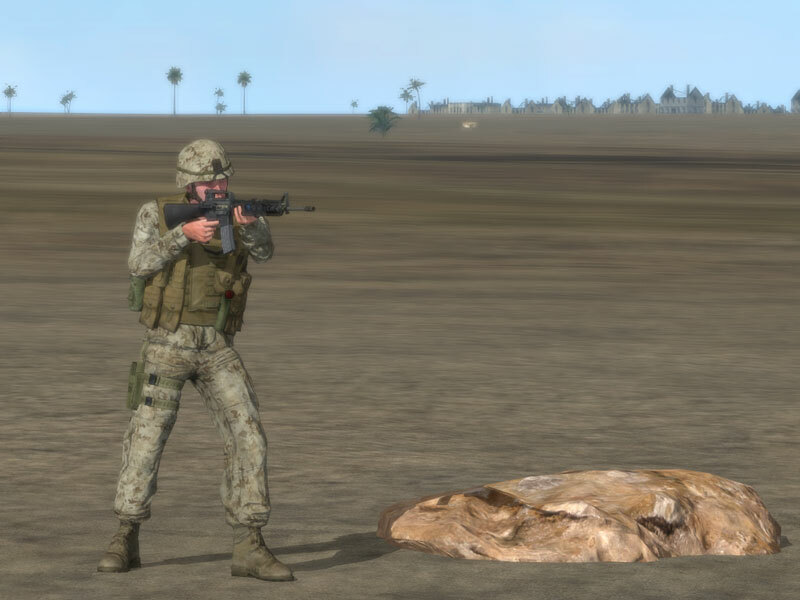 - tweaked new ground clutter config. - created better satellite texture / mask. - palm trees in the mountain rocks, fixed. 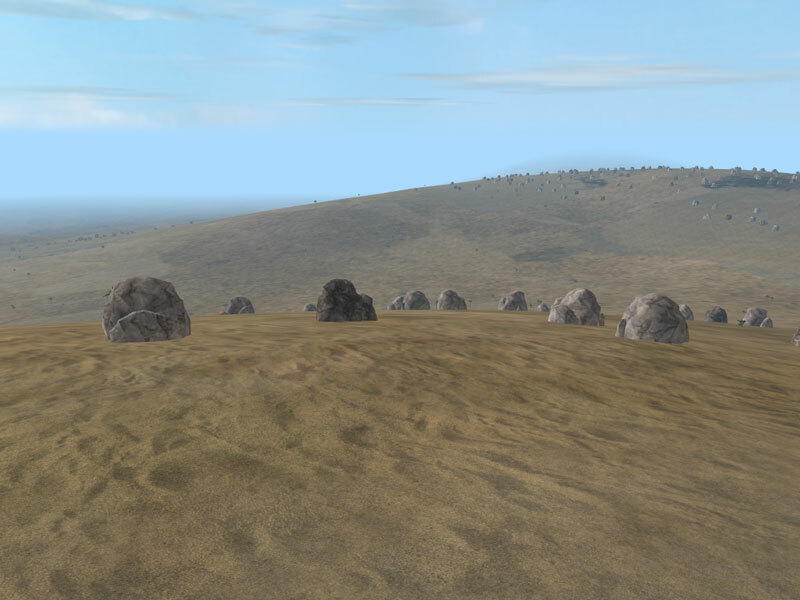 - added smaller rocks to mountain areas along side with the big boulders. - initial release. August 11th, 2009. AGS Industrial and AGS Port addons.